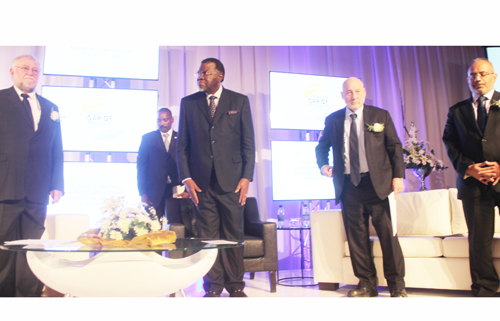 Working on our 'For Progress Namibia' project for a few years now, which you can read more about here, we are delighted that our President Hage Geingob's A-Team enlisted Joseph Stiglitz, an internationally acclaimed economist, to advise us on our growth policies. Stiglitz is a Nobel laureate, has published over 2000 academic articles and about 24 books, but for us he is known for what has become called the 'Stiglitz Report' , or the 'Report by the Commission on the Measurement of Economic Performance and Social Progress' which has been used as an instrument for guiding policy (particularly European) in a different direction in terms of our value system and what we use to measure it. It specifically mentions, in one of its introductory statements, that 'Moreover, it has long been clear that GDP is an inadequate metric to gauge well-being over time particularly in its economic, environmental, and social dimensions, some aspects of which are often referred to as sustainability' and makes recommendations to change our system up a bit. He said in his lecture on Wednesday last week (11 May 2016), that headline GDP growth can be very misleading, as is well-known by economists worldwide whose job it is to advise governments on policies for sustainable, inclusive progress and prosperity. He advocated for an increased government role in steering development policies. Perhaps we should be bringing in some additional thinkers in these arenas to better inform us on what an economy that focuses on measuring citizen-wellbeing would look like.